Built in 2015 this 4 Bedroom 2 Bath Brick Home is pristine. 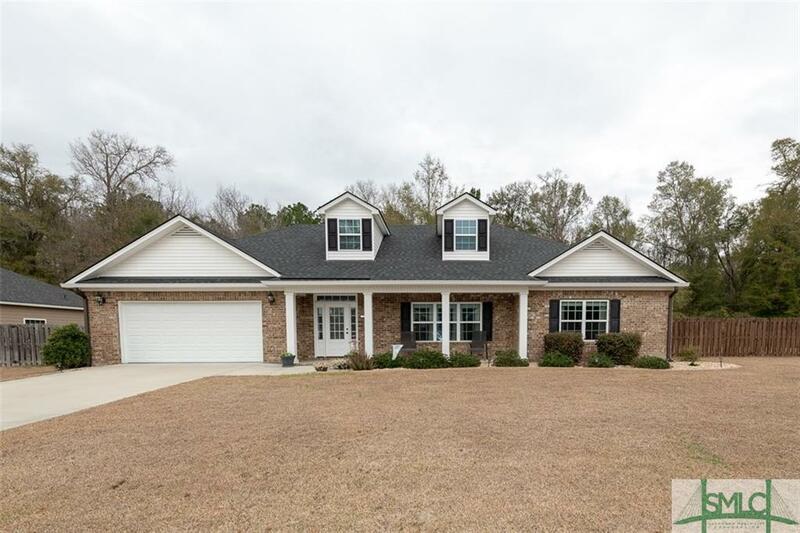 Featuring Coffered Ceilings & Ventless Fireplace in Living Room, Granite Counter Tops in Kitchen & Bathrooms, Tile in Bathrooms, Kitchen, Sunroom & Laundry, Hardwood Flooring in Living Room & Master Bedroom, Spray Foam Insulation & Finished 2 Car Garage. Kitchen Offers Walk-In Pantry, Breakfast Bar, Breakfast Area, Recessed Lighting & Stainless Steel Appliances. Master Suite Features Double Tray Ceilings, Recessed Lighting & Spacious Closet. Master Bath Features Beautiful Cabinetry, Double Vanities, Roman Shower, & 6 Jetted Tub. The Split Floor Plan Features 3 Guest Bedrooms with Plush Carpet & Walk-In Closets. The Exterior Boasts .40 Acres, Covered Front Porch, In Ground Pool, Beautiful Landscape, Private Fenced Backyard, Irrigation System, Shed & Concrete Patio Area. Within Walking Distance to Ebenezer Elementary & Middle Schools. Laid-back HOA that ensures neighborhood stays pristine without being a hassle to homeowners. Listing courtesy of David L. Saba of Keller Williams Coastal Area Partners. © 2019 Savannah Multi-List Corporation. All rights reserved.